The Florida Outpouring (a.k.a. Lakeland Revival) is spreading to a number of places, including Albany, Oregon. Pastor Denny Cline, of Albany Christian Vineyard Fellowship, in Albany, recently attended the Lakeland meetings and since returning home has experienced a similar revival in his home church. The manifestation of God's presence has intensified and many people have experienced bodily healing as well as spiritual, or inner, healing. Also, many people have come forward and received the Lord Jesus Christ. A Charleston, WV, woman came back to life after over 17 hours of no brain waves. Her family had made the decision to take her off life support, and arrangements were being made for the donation of her organs. But then she revived and doctors at Cleveland Hospital have found nothing wrong with her. They are particularly puzzled that she had no heart blockages, even though her heart had stopped three times—they are calling it a "medical miracle." Her niece, Darla, had recently been at the Lakeland Revival where she received prayer and a prophetic word that there would be healing, revival and restoration in her family. At the time, she had no idea what that meant. Now she has seen it fulfilled and is giving God the glory, "Jesus stepped in when man stepped away—when doctors could do no more—Jesus did the rest." You can also view the Associated Press video report here. Here is a field report on Todd Bentley and the Lakeland Revival issued by MSNBC news. A man who had his neck fractured and arm paralyzed in a car wreck is healed. He no longer needs a neck brace, feeling has returned to his arm and he can move it around. A man blind in one eye has his sight restored in the name of Jesus. 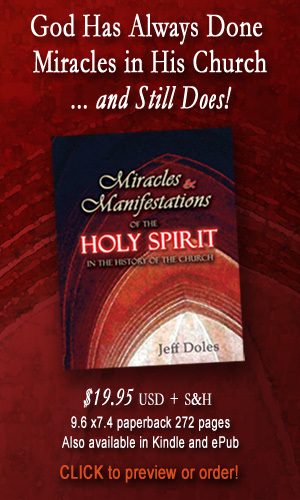 For books and resources on the miracles and manifestations of the Holy Spirit in the history of the Church, visit our new online bookstore, WBM Bookshop (in association with Amazon.com). Here is a book of eyewitness accounts of the revival at Azusa street. Many people understand it as the birthplace of the modern pentecostal movement and a significant renewal of the gift of tongues in the Church. I was surprised to discover that there were also powerful manifestations of God's glory in what was known as the “glory cloud.” There were also many creative miracles. These stories are told in They Told Me Their Stories. This is the book Billye Brim recently talked about on Believer’s Voice of Victory, with Gloria Copeland. “Discover a chapter in the life of Azusa as it comes alive through the stories passed on to Tommy Welchel. Retired Azusa saints recall the roles they played as teenagers and young people in the Azusa Street Revival. 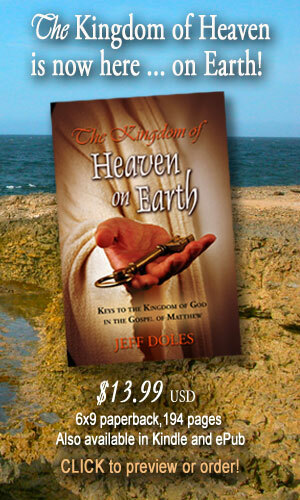 Historical insights, miracles, and healings abound. Learn about the Shekinah glory from the eyes of Spirit-filled youth. Discover the rich heritage and roots of Pentecostal denominations such as the Assemblies of God and the Church of God in Christ through stories never before captured in print. A must read for young people wanting to be used of God, but feel they are too young. You will want to meet the teens and young adults used by God during the Azusa Revival. A must read for anyone who wants a fresh glimpse of the awesome power of God unleashed by common people and teenagers during the outpouring of His Spirit in 1906. Leonard Ravenhill, revivalist, talks about the manifestation of the Holy Spirit in the meetings of William Booth, founder of the Salvation Army. "The Holy Ghost would take hold of men on the back seats and lift them bodily over the congregation and drop them at the altar." A little girl from Alaska who had 50% hearing loss in both ears is healed. A young woman healed of diabetes through prayer in Jesus' name. A still-born baby given life through prayer in Jesus' name. A woman healed of Parkinson's disease. Another woman healed of serious breathing disorder and does not need her wheelchair, her walker or her oxygen tank. A woman working out in a gym collapsed, was pronounced dead by a paramedic (no heart rate and no pulse), and was raised up by the power of prayer in Jesus' name. Here is an interview of Todd Bentley talking with the NBC affiliate in Tampa about the Florida Outpouring. A woman with a hand “permanently impaired” by a rare syndrome—with pain, limited range of motion and a claw like deformity—but now totally healed, pain-free and able to flex her hand with full range. A woman with back pain is now pain-free and able to bend over and touch the ground—even with metal rods still in her back—healed in the name of Jesus. A woman who had 22 surgeries, suffering from spinal stenosis and cerebral palsy, hardly able hobble around is now healed and literally able to jump for joy. A woman who leg was crushed and hip broken, whose doctor said she would have to walk with a cane for the rest of her life, but whose joints and muscle have been miraculously restored. A deaf woman is healed at the Florida Outpouring and no longer needs her hearing aids. A woman is healed of multiple personality disorder (nine separate personalities). Her mother is healed of fibromyalgia. A woman who suffered with pain from two bad discs in her back is healed at the Florida Outpouring. While healing is happening onsite at the Florida Outpouring in Lakeland (and Auburndale), FL, people are also getting healed out in the street. Here is a brief testimony of a man and wife who were both prayed for in the name of Jesus and were freed from back and knee pain. A young woman from Boston was healed of kidney disease at the Florida Outpouring. For three years the pain was so bad in her side that she could not even hold her children--now she can pick them up without any pain. She and her little girls received the Lord Jesus Christ. Here is video of one of the healing services of the Florida Outpouring. Many healing testimonies. An Anglican priest who suffered twenty years from back pain and a bulging disk is healed. A woman who suffered with rheumatoid arthritis for five years is healed at Florida Outpouring. A British woman who for thirty years was deaf in her right ear is healed. A man healed of deafness, a woman healed of migraines and knee pain, another woman healed of tumors in her throat and breast, and a man healed of two bulging discs in his back. A woman who was bedridden with a bad heart and had to be carried down to the platform is healed. Here is one of the many miraculous healings that took place at the Florida Healing Outpouring in Lakeland, FL. A little girl's fractured arms was mended. Father shows before and after x-rays.